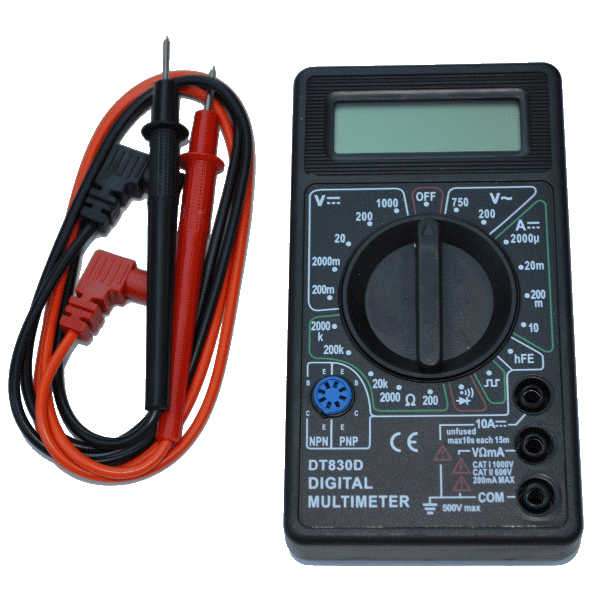 The DT830D Digital Multimeter is a great tool for studying your robot's electronics and diagnosing a variety of issues. Measures voltage, current and resistance. Includes handy diode and transistor tester. Low battery indicator for dependable operation. Includes red and black test leads and a manual. 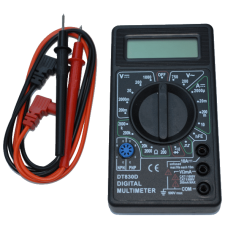 Every robot enthusiast should have a mulitmeter in their toolbox.